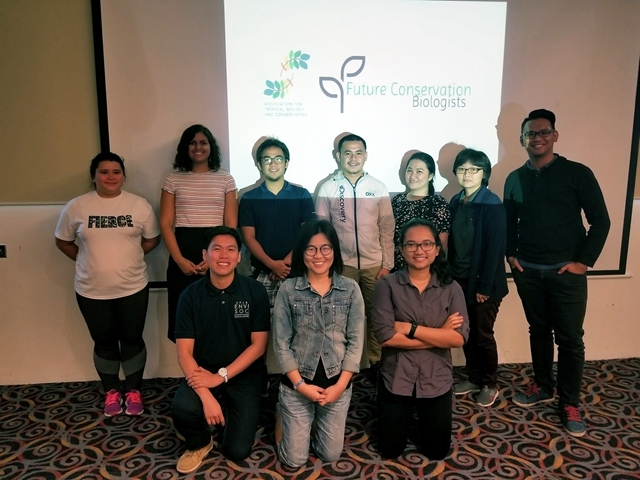 The 55th Annual Meeting of the Association for Tropical Biology and Conservation (ATBC) was held in in Kuching, Sarawak, Malaysia from July 1-5. With the theme of “Linking Natural History and the Conservation of Tomorrow’s Tropical Ecosystems”, the ATBC 2018 brought together over 900 tropical biologists from 56 countries. 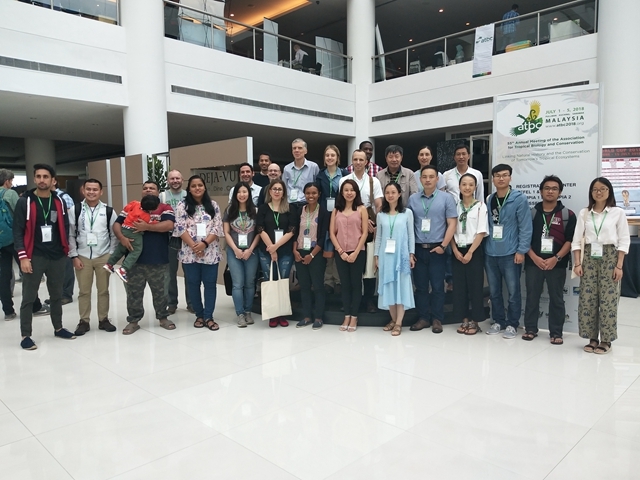 Headed up by Prof. Chen Jin, more than 10 professors and students of Xishuangbanna Tropical Botanical Garden (XTBG) participated in the ATBC 2018. They presented their research work progress via oral or poster presentations at different symposia. Following are some presentations by XTBG researchers. CHEN Jin Frequent hybridization and obligate pollination may facilitate species diversification of Ficus plants. Richard Corlett Anthropogenic climate change in SE Asia and its impacts on biodiversity. FAN Zexin Seasonal dynamics of stem radial growth of evergreen and deciduous tree species and their responses to microclimate in an Asian tropical dry karst forest. ZHANG Ling Mating system and fine-scale spatial genetic structure in the aggregated self-compatible hermaphrodite mistletoe Dendrophthoe pentandra (Loranthaleae) in Xishuangbanna, SW China. SU Tao Paleobotany in tropical SE Asia: progress and opportunities. LIN Hua Leaf temperature regulation strategies of plants from a hot dry and a hot wet habitat. CHEN Yajun Convergence in plant hydraulic strategies across plant lifeforms in severe water-stressed habitats. Moreover, Dr. Alice Hughes of XTBG was lead trainer of the workshop named “Fundamentals of GIS for ecology and species distribution modeling”. 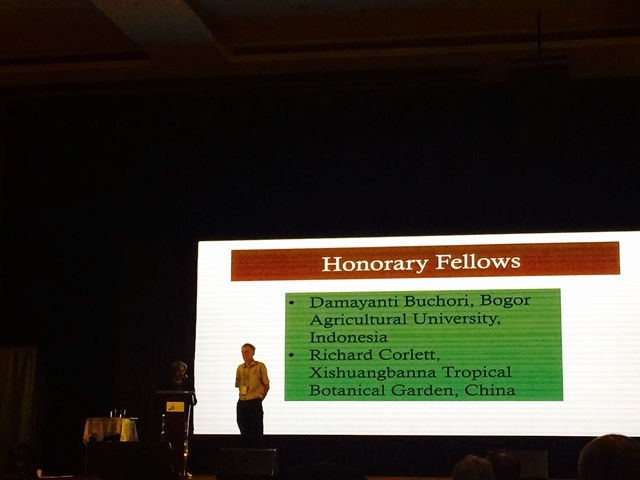 In addition, Prof. Richard Corlett was awarded one of the two Honorary Fellows of ATBC. Honorary fellow is the highest award given by ATBC to "persons of long distinguished service to tropical biology."